Most actors have no idea where to start in preparing a Shakespeare monologue. 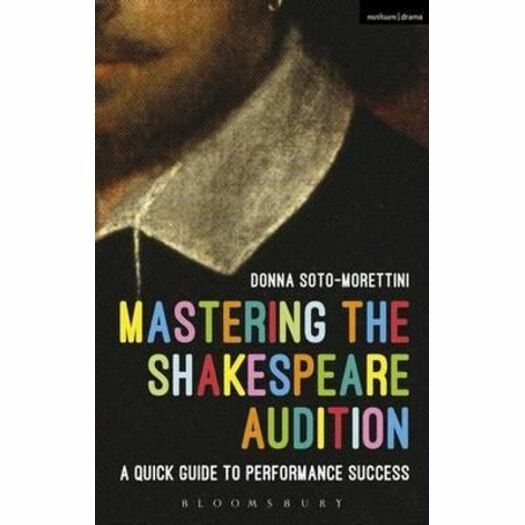 Yet success in application to drama schools - as well as for professional gigs - often relies on a well-delivered classical monologue.Mastering the Shakespeare Audition focuses on serious preparation for the Shakespeare monologue, making it easy for actors to analyse and master their chosen monologue in time for an upcoming audition. Following the author's unique quick-start plan of reading and exercises, an actor will be shown how to get ready to perform in their audition with confidence. Each section provides a set of progressive and clearly marked exercises, detailing the time necessary both to read and to complete the exercises. In addition, at the end of each section, there is set of extended exercises for those who aren't in a time-critical audition situation, which allows a deeper understanding of the ideas and skills discussed. The result of years of teaching and research, and featuring complementary online video,Mastering the Shakespeare Audition provides a hands-on set of techniques, framed in a focused, time-sensitive process, to help the actor immediately prepare for their upcoming audition. It is ideal for either young actors who are approaching Shakespeare for the first time, or for experienced actors who may need a refresher in advance of an audition requiring a Shakespeare monologue.